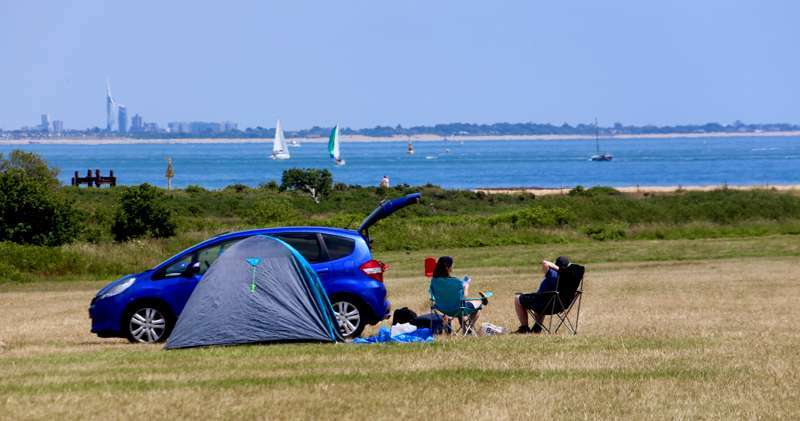 With boat trips from the old quay, footpaths along the Solent Coast and car-free cycling routes in the nearby New Forest National Park, the seaside town of Lymington in Hampshire has plenty to keep campers busy. As always, we've been out on the road ourselves, discovering the many different campsites along the coastline and putting together our own special shortlist of the very best campsites near Lymington. 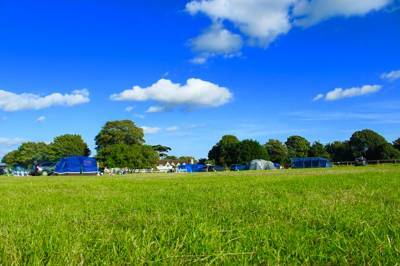 Camping and glamping in Lymington offer you the opportunity to explore the New Forest and spend days at the seaside. 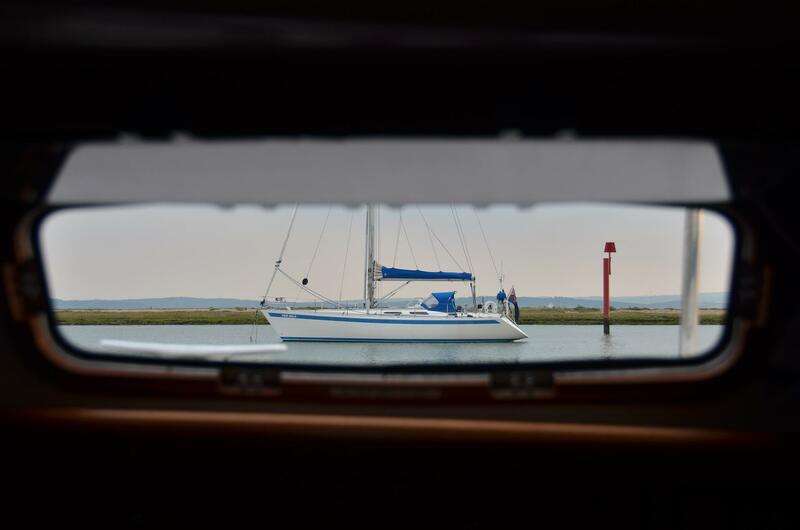 This old sea port on the River Lymington has three marinas and a fascinating maritime history but it also offers amenities and facilities that are useful for anyone on a camping or glamping holiday. It’s cobbled streets and attractive Georgian town centre are on the southern edge of the New Forest. Stay close to Lymington and you can spend alternate day paddleboarding in the sea and pedalling on the car-free cycle routes of the forest. 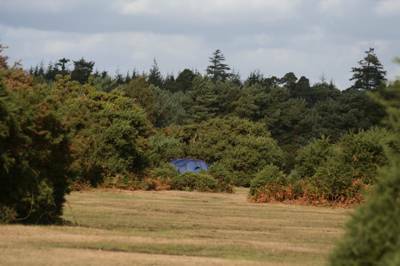 The New Forest has long attracted campers and there are plenty of campsites in the area. 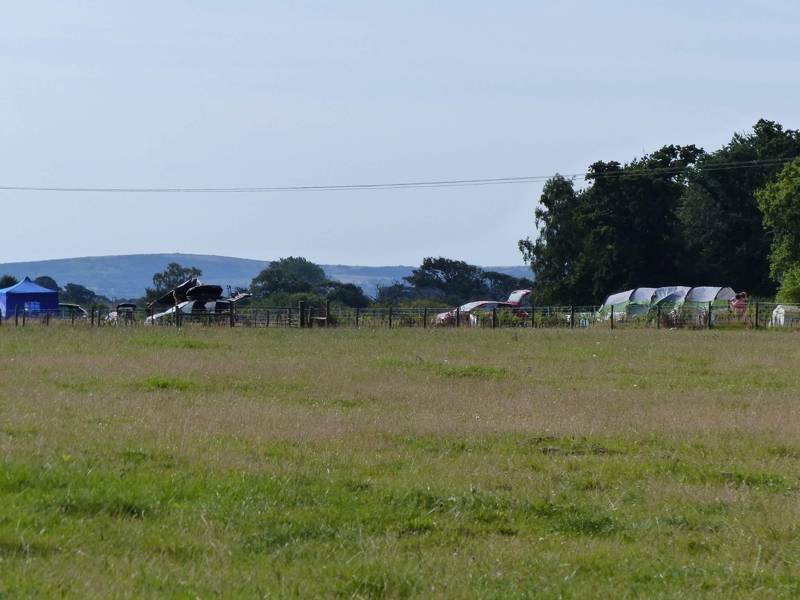 Here at Cool Camping, we stay away from the big holiday parks and look instead for smaller, low impact camping and glamping sites. Fortunately there are plenty of them in Lymington and the surrounding areas so whether you simply want to pitch your tent for a weekend retreat or find a shepherd’s hut, bell tent or camping pod for a longer getaway, there should be something to suit in the Cool Camping collection. You’re spoilt for choice if you’re looking for things to do whilst camping and glamping in Lymington. This ancient port on the edge of the New Forest and the shores of the Solent offers the best of coast and country. You can head out to sea on a sailing trip, go for a swim in the town’s sea-water baths or walk along the Solent Way for views across to the Isle of Wight. At St Barbe’s Museum and Art Gallery in town you can learn about the history of Lymington and the New Forest. The seafaring history of this part of the world is further explored at Buckler’s Hard Maritime Museum, about 20 minutes’ drive away. And if you fancy your own voyage of discovery, just outside of town are Wightlink ferry services to Yarmouth on the Isle of Wight. It’s a short drive inland to Brockenhurst, the town at the heart of the New Forest National Park, with its miles of heather moorland and woodland. You can use the New Forest open-top bus service to travel between the towns and the forest’s sights if you don’t fancy the drive. 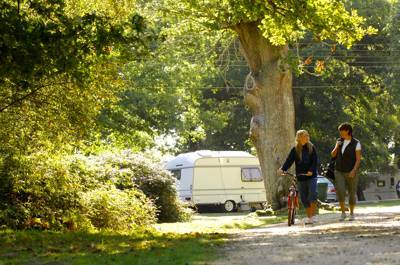 From Brockenhurst, you can hire bikes and head out on one of the many car-free cycle routes. There’s also a riding stables and plenty of bridleways and footpaths galore for keen walkers. Beaulieu, a country house and gardens with a motor museum, and Paultons Park, a theme park which incorporates Peppa Pig World are also popular visitor attractions in the near area. Lymington Camping Solent Coast New Forest National Park Hampshire camping glamping campsites glampsite glampsites campervan caravan tent holiday holidays at Lymington Camping, Whether it's boat trips from the quay, exploring the Solent coast on foot or cycling the car-free trails in the nearby New Forest, the seaside town of Lymington has plenty to keep campers busy. As always, we've been out on the road ourselves, putting together our own shortlist of the very best places to pitch.